Big changes could be in store for the IRS if a legislative package that is currently receiving bipartisan support passes through Congress. Over the past year and a half, lawmakers have sought information from the American Institute of CPAs, the National Association of Tax Professionals, and other interested parties about what changes needed to be made. In March, lawmakers began creating a foundation for the package of bills. In April, Chairman of the Ways and Means Subcommittee on Oversight Lynn Jenkins, a Republican, and ranking Democratic member John Lewis introduced the bill package to positive reviews. The package includes a number of bills that would make several substantial changes to the structure of the IRS and its procedures. Many of these changes will affect taxpayers, and it’s important that you work with a tax attorney in Arizona to stay abreast of the changes and how they will impact you specifically. Limiting the sale of property seized by the IRS for tax debts to perishable goods. These items can be seized and sold on the same day, even if they are sold for less than market value. Making low-income taxpayers exempt from targeting by private debt collectors. Creating an independent IRS office of appeals. Taxpayers would be given the right to access their case files before any proceedings would begin. Creating new procedures that would end the accidental disclosure of personal information like Social Security numbers when shipments pass through customs. The proposal would also grant a new Social Security number to any child whose information was stolen in such a scenario. Updating cyber security and modernizing technology. Potential changes include phasing out the use of fax machines, providing a special filing password to taxpayers, and providing a single point of contact for victims of identity theft. Establishing a permanent Volunteer Income Tax Assistance center. These centers are currently available on a temporary basis for people who have limited means, limited English proficiency, or other hardships. Another proposed bill would require a formal notification if one of these centers is closed. Establishing a permanent Free-File service for low-income taxpayers who meet the criteria. These taxpayers would also be able to file taxes electronically. Eliminating fees for low-income taxpayers seeking an offer-in-compromise to pay off their tax debts. The bill would try to encourage more installment agreements to pay off debts. Creating online taxpayer accounts for all taxpayers by the end of 2023. Taxpayers could use their accounts to check their payment history, revise returns, check what they owe, share information with the IRS, and more. Requiring non-profit organizations to file their Form 1099s electronically. Some proposals considered in the new legislative package have already been killed in debate. Examples include regulations for unenrolled tax return preparers and a reorganization of the IRS into three separate entities. Though these proposals have been killed, there is no guarantee that they won’t be revised and reintroduced. There is no word on when these proposed changes might move through Congress, or when anything might get a vote. The package could move quickly, or it could take years to see any concrete changes. The best thing that taxpayers can do is to stay abreast of the news and keep in close contact with a Phoenix tax lawyer. You may not be able to control what happens in Congress (outside of voting and calling your representatives), but you can control how you handle your tax responsibilities. Hiding your head in the sand won’t save you from the tax changes ahead. Ignorance of the law is not a defense of it. You need to work with a good IRS lawyer in Phoenix who stays knowledgeable about the changes and can keep you informed. Your PHX tax lawyer should not only be able to explain any tax law changes as they happen, but should also be able to prepare you for changes that could be coming down the pike. 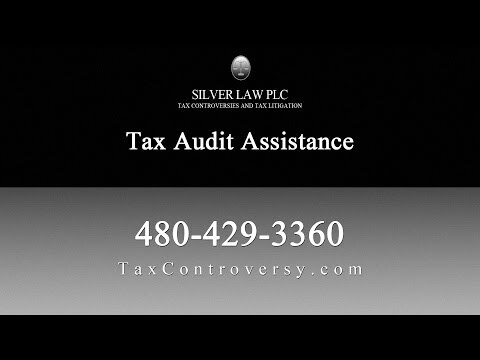 At Silver Law PLC, every tax attorney on our team has worked for the IRS and has special knowledge of how tax cases are handled and prosecuted. They can use their intimate knowledge to help you. We represent clients in audits, help them get innocent spouse relief, counsel them on foreign tax reporting duties, represent them in tax litigation, and much more. Call us today to talk with a tax attorney in Arizona about the changes in store for the IRS and how they might affect you.